Snapchat has become a very popular app that allows users to share photos and videos with their friends or even the world. It seems like the younger generation is loving it, as it is a quick way to share their food or a silly video of themselves. However, there seems to be an issue when rich kids use Snapchat and share photos of their lives, as it annoys the heck out of us! 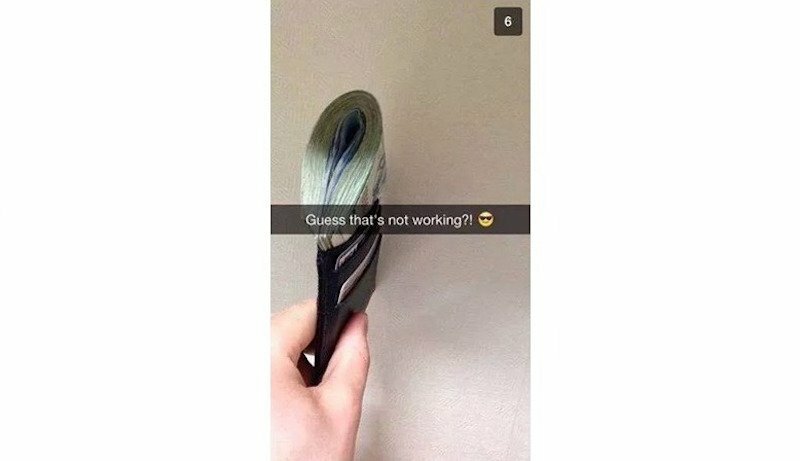 Check out these photos from rich kids on Snapchat and feel our pain with us! We question this one, as that definitely doesn’t look like a bar they are standing in. However, it could be the next day or something. 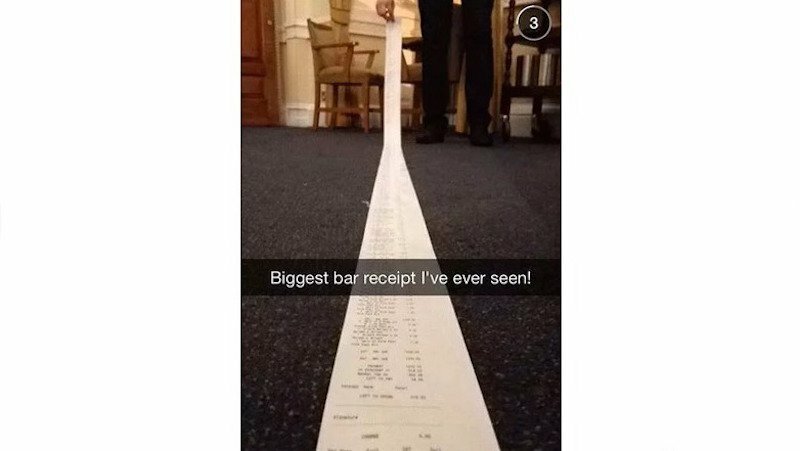 We wish we were at that bar that night though, as it looks like they paid for everyone there! If we were friends with this person and went over for a visit, there might be a doorstop that goes up missing! 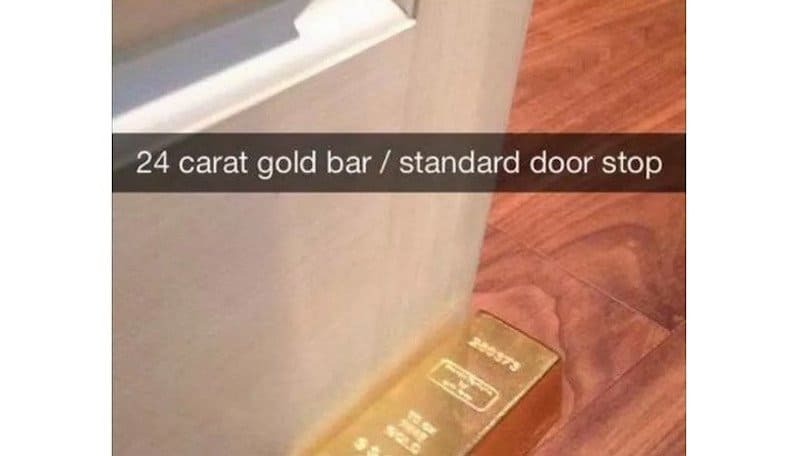 It sure beats the doorstop we bought at the dollar store for our house. 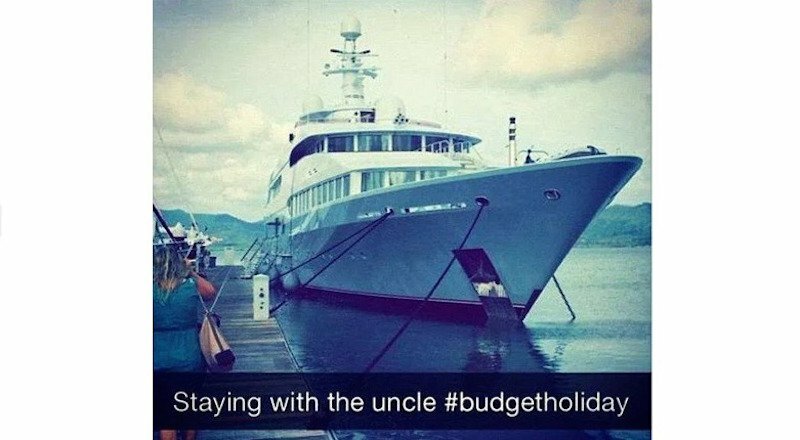 We love they consider going out on that yacht as a budget holiday. How do they normally spend their holidays? We normally have to decide if we want to get out of bed or not for the day, but this kid had bigger decisions to make than us. 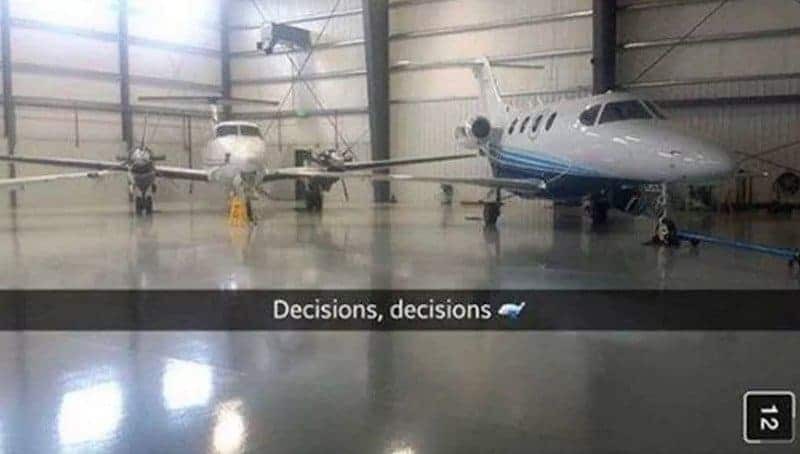 It is a rough life when you have to make such a hard decision. When we were younger, if we got good grades we got a couple dollars. 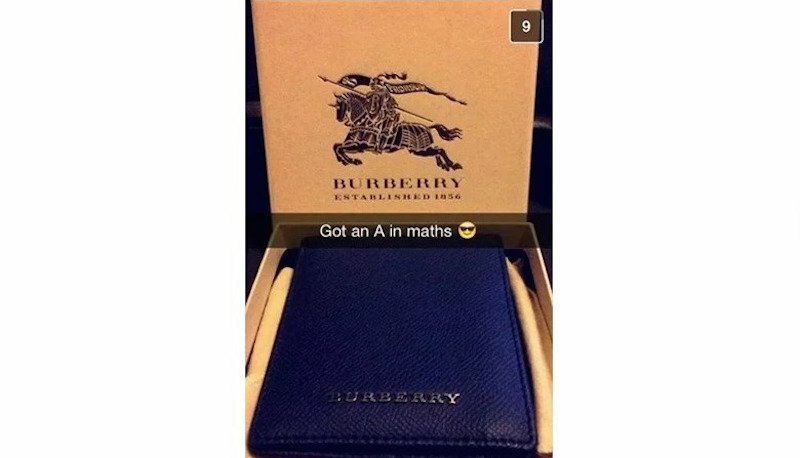 This kid gets a Burberry wallet and all for an A in math! It looks like that wallet can’t hold all of their money. If they need help, we’ll take some of that money off of their hands! 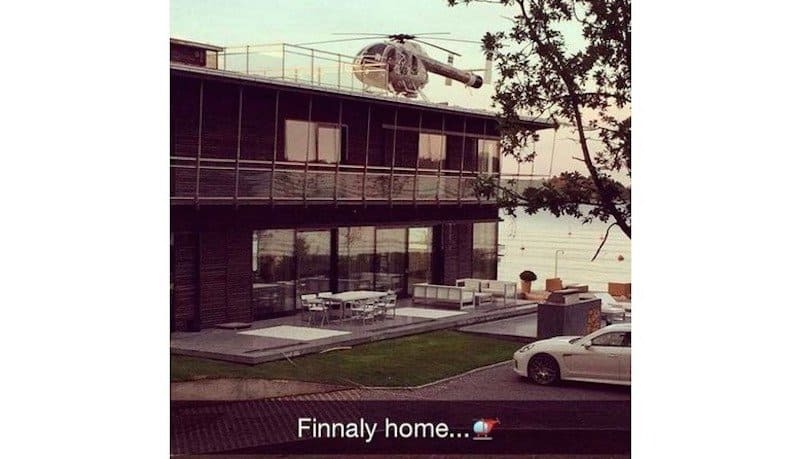 Whose parents own a home like that? Does this person go to Hogwarts or something? 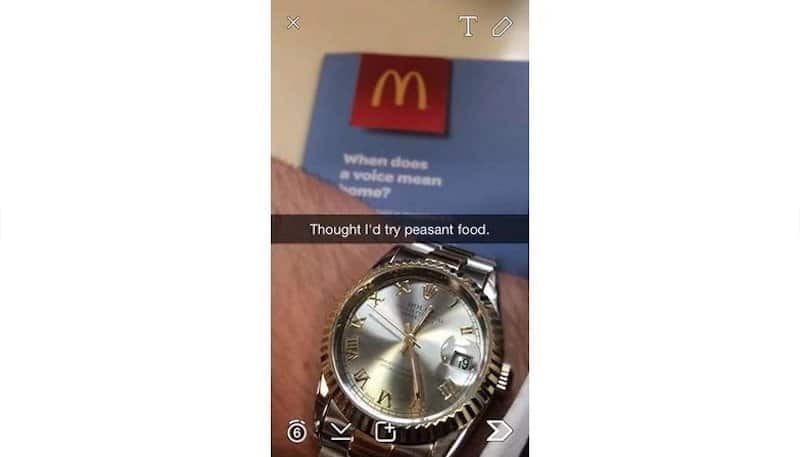 We like how McDonald’s is considered peasant food. We always thought it was fast food, but it looks like we’ve been saying it wrong this whole time! 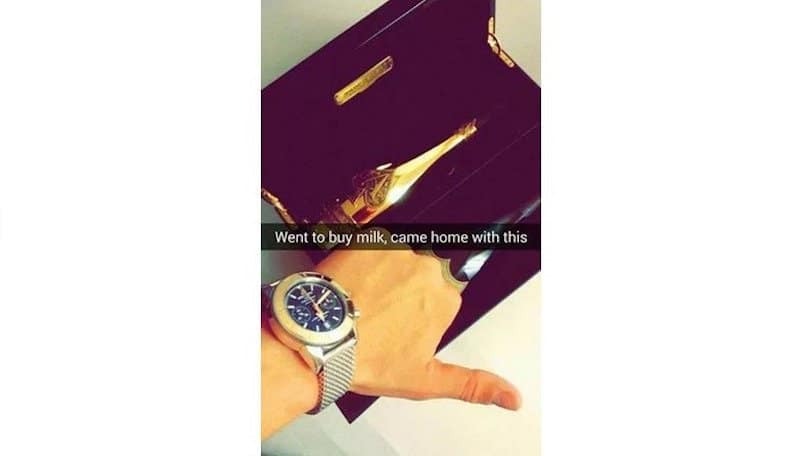 We often go to the store for milk, but come back with a gold bottle of champagne. You haven’t done that before? You can have all the money in the world, but you are still an idiot to us if you don’t know how to spell. They need to pay people to send Snapchats for them and spell correctly. 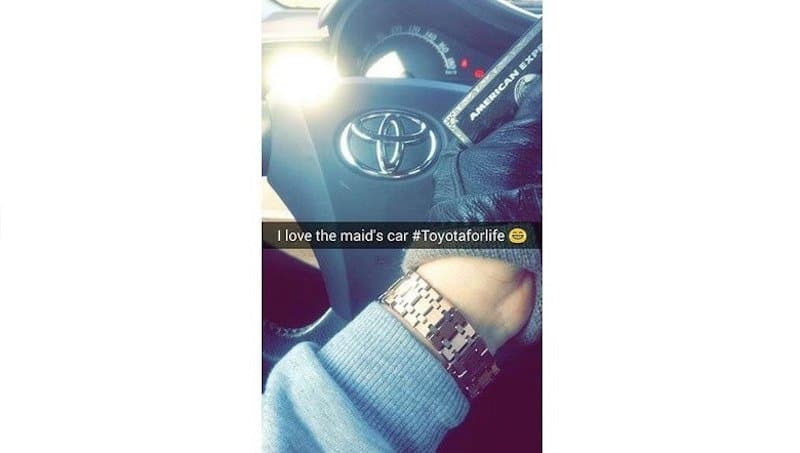 This poor kid had to use the maid’s car, so they are living the Toyota life for a while. We want to know why the American Express card is needed though? 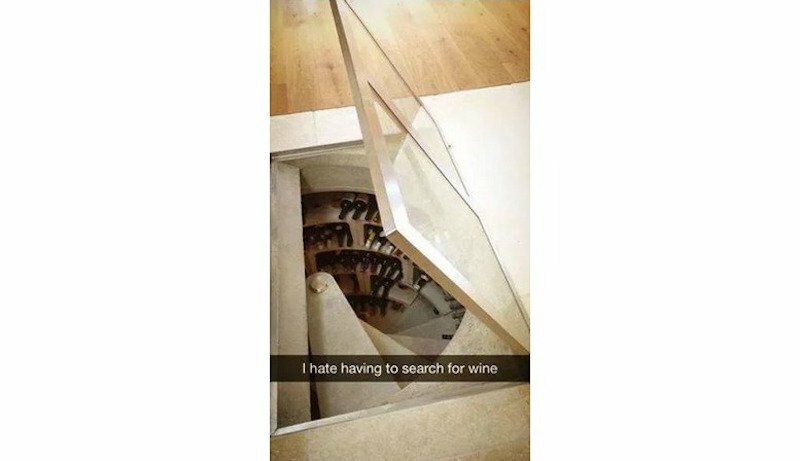 Life is so rough when you have to search through your wine cellar to find a bottle of wine to drink. And why is a rich kid drinking wine? They are too young! 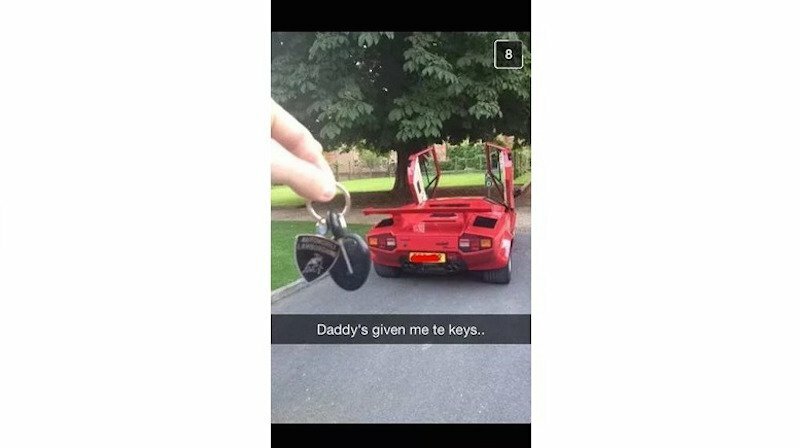 This daddy needs to take those keys back, as that car is not coming back in the same shape. We would be nervous to drive it, so more power to that kid for getting behind the wheel! What plans does this kid have? 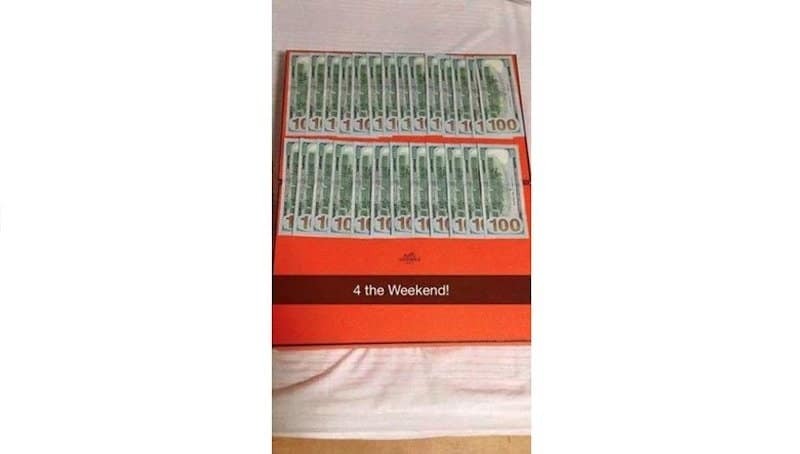 Unless they plan on buying a car with that money, we don’t think they are going to be up to any good this weekend! 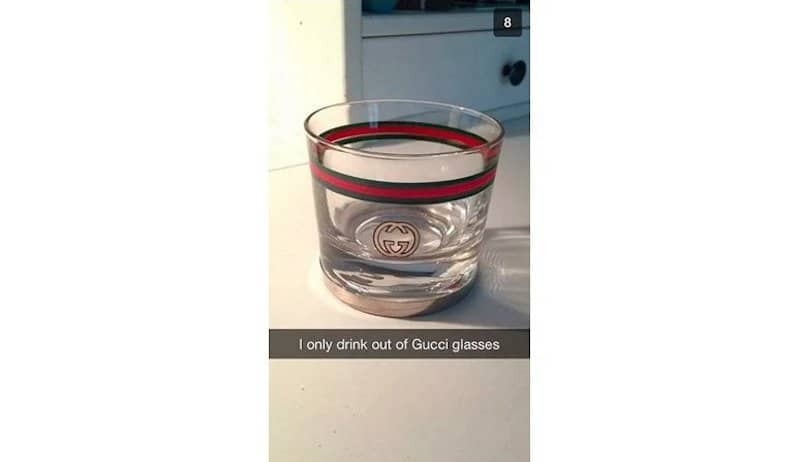 Are Gucci glasses better than the glasses we use from Target? We don’t think so, but maybe it makes your beverages taste like money when you drink out of them? 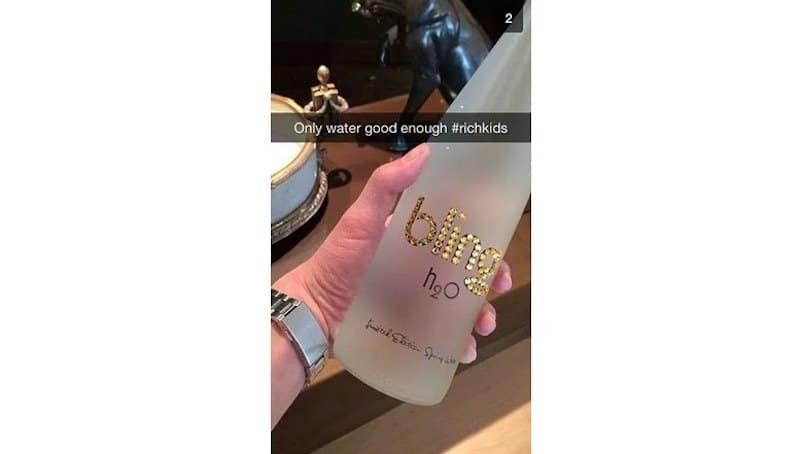 Bling H2O is a thing? We have never heard of it, but tap water is good enough for us! We would be happy owning one of those vehicles, but this family just got greedy! 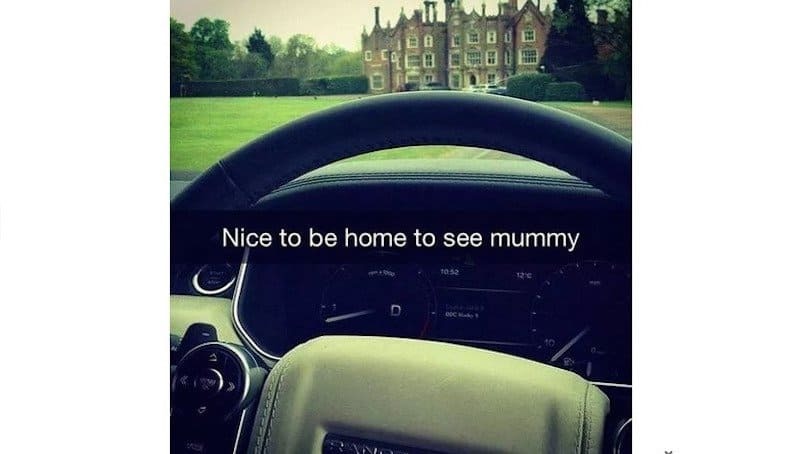 It looks like everyone in the family gets a fancy car to drive. 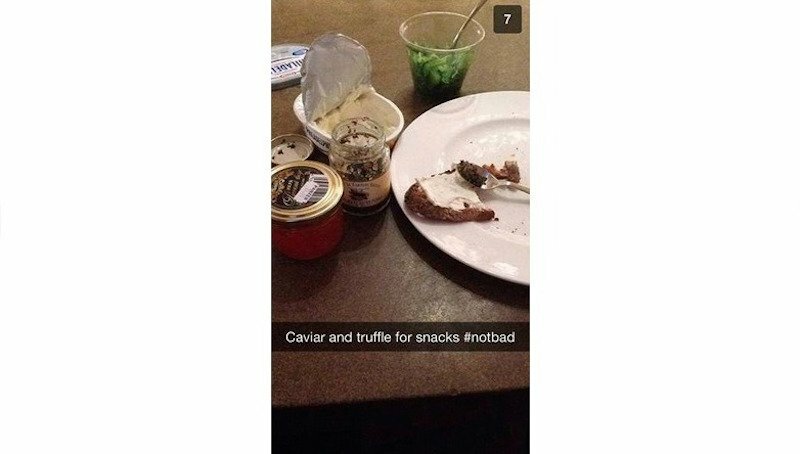 We normally have some Greek yogurt and fruit for an afternoon snack and feel classy doing that, but this kid seems to have caviar and truffles and has to share it with us. This is taking #foodporn to a whole new level! 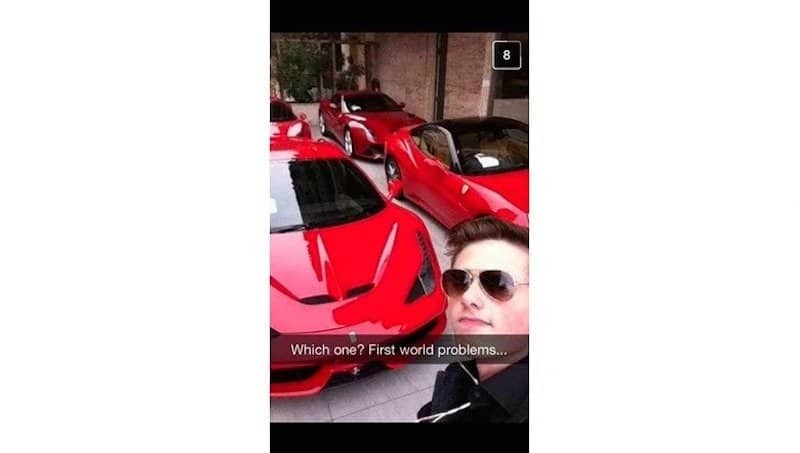 We know that kids are obsessed with selfies, especially rich kids. 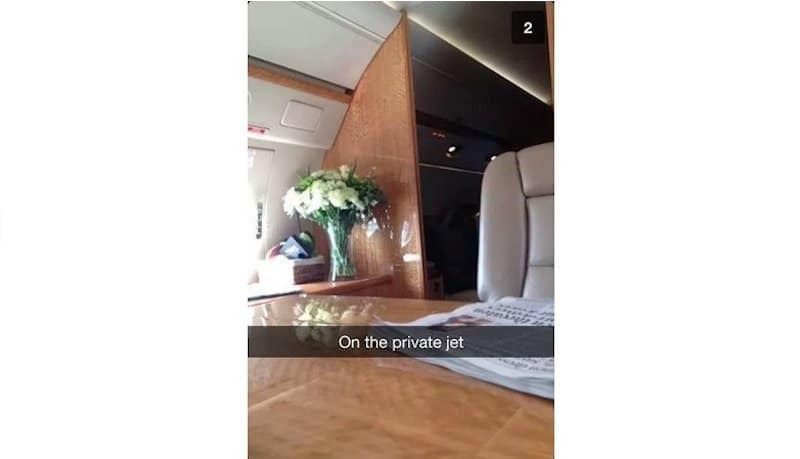 They want to show themselves off with all their wonderful things, so why not take a photo of themselves in the jet? It seems fishy to us! We are thinking there might have been some bad weather or something like that and they aren’t referring to the Porsche as being crap! 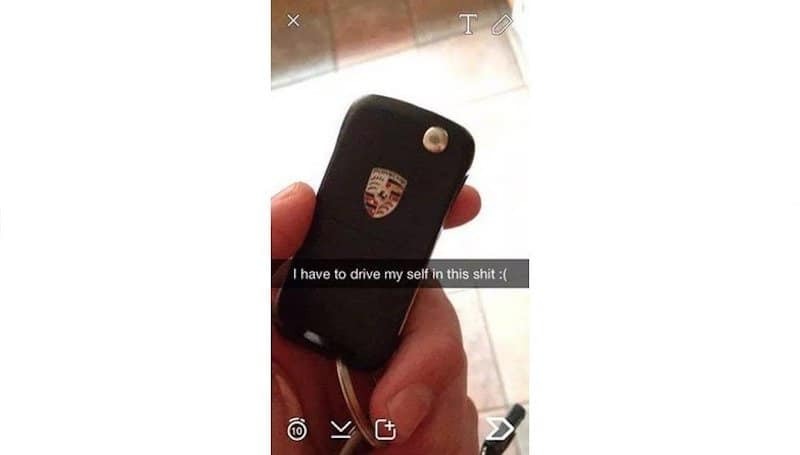 If they are, then I want to meet them and slap them for thinking a Porsche is a crappy car.